Women holding Islamic State flag. Islamists have grossly used Western freedom and they must understand that this is not allowed anymore. The integration of moderate Islam in the European social fabric is an urgent necessity today more than ever before and the same is true of the rest of the Western world, writes Dr. Mohamed Chtatou. The fearful Islamic State has been duly defeated by a Western-Islamic coalition through a combination of aerial pinpoint bombardment and a land offensive undertaken successfully by the Iraqi army beefed up by Kurdish, Iranian and Western forces. As a result, the cities controlled by this infamous State were re-conquered and its militias killed, imprisoned or have merely disappeared in the thin air. 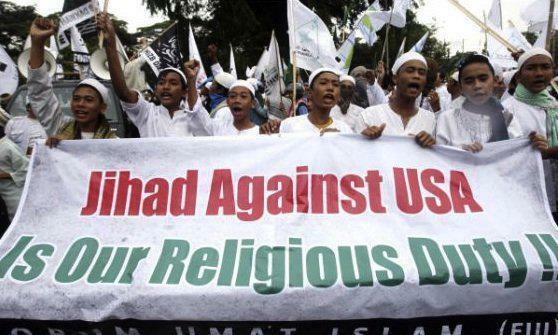 However, the question is: is this enough to crush Islamic fundamentalism that aims to adopt a time-old Caliphate system and engage in spreading Islamic religion through a combination of gentle persuasion , jihad in dar al-Kufr (Infidels’ homeland)i and terrorist actions both at home and abroad? So, what is presaging the downfall of this religious ideology? Surely military defeat alone is not the only reason of the setback. Actually there are a number of other reasons given here below. It might be a fact that the American administration has flirted gently with Islamism, at some point during the presidency of Barack Obama, thinking, maybe, that if the Islamists were allowed to assume power democratically they could, ultimately, be won over by democratic ideals and give up, consequently, violent extremism. Thus, the Justice and Development Party (AKP) arrived to power in Turkey in 2007 and later on in 2012 their mirror image PJD in Morocco. “If jihadism were to be placed on a political spectrum, al-Qaeda would be its left and the Islamic State its right. In principle, both groups adhere to Salafi theology and exemplify the increasingly Salafi character of the jihadi movement. But the Islamic State does so with greater severity. In contrast with al-Qaeda, it is absolutely uncompromising on doctrinal matters, prioritizing the promotion of an unforgiving strain of Salafi thought. All in all, it must be pointed out that the moderate Islamists, if any, have no influence whatsoever on the hardliners. Worse, the latter may have used the moderates maliciously to beautify their despicable actions of terror and slaughter. During his electoral campaign in 2016, Trump announced his disposition to fight violent Islamism and make America safer again, however his approach sounded too harsh and stereotypical and was criticized left and right. Once elected, one of his first presidential directives was the Muslim Ban,iv preventing citizens of some Muslim countries from entering America. But probably Trump’s most important decision was putting pressure on the Gulf States to stop supporting or harboring Islamism and, as a result, Qatar was quarantined by its fellow GCC sister countries and, also, the unexpected advent of the political and social revolution in the Kingdom of Saudi Arabia, undertaken by the hyperactive Saudi Crown Prince Mohammad Bin Salman (MBS). 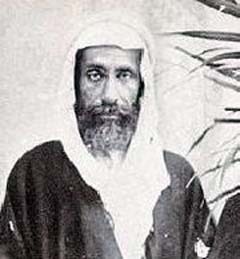 Back in the 18th century a religious leader by the name of Muhammad ibn Abd al-Wahhab (1703-1792) and the leader of a strong tribe of the Sauds Muhammad ibn Saud who reigned from 1726 to 1765, a deal was reached to rule the country, whereby the Sauds would take control of politics and Muhammad ibn Abd al-Wahhab of fundamental Islam known as Wahhabism,vii a developed form of tribal Islam that finds its origins not in the Salafi Islamic religion only but, also, in pre-Islamic patriarchy traditions. In this practice, women are kept under tight control and away from the public sphere. It must be pointed out that prior to the advent of Islam, Quraish and other tribes of Felix Arabia used to bury female babies alive (wad al-banat) to avoid shame, however Islam disallowed this pagan tradition, but was unable to shake off misogynist sentiments in the region. Wahhabism has been variously described by Muslim and non Muslim religious experts as “ultraconservative”, “austere”, “fundamentalist”, or “puritan(ical)”; as an Islamic “reform movement” to restore “pure monotheistic worship” (tawhid) by devotees; and, also, as a “deviant sectarian movement”, “vile sect” and a distortion of Islam by its opponents. For more than two centuries, Wahhabism has been Saudi Arabia’s dominant faith. It is an austere form of Islam that insists on a literal interpretation of the Koran and is against ijtihad (jurisprudence). Strict Wahhabis believe that all those who do not practice their form of Islam are heathens and enemies. Unable to lead the social revolution himself, King Salman delegated this hard task to his young son MBS, full of vigor and youth and educated in the West. But the problem is that there is so much rot in the country and one would not know where to start: corruption, nepotism, gender inequality, religious extremism, etc., not to forget of course that the reactionary forces could at any time gang up to stall any reform by silent opposition or literally assassination. Indeed, MBS has not appeared in public since April 21, 2018 and rumors were circulating in the internet stating that he has been killed in a military coup – an claim roundly denied by the Monarchy and government. 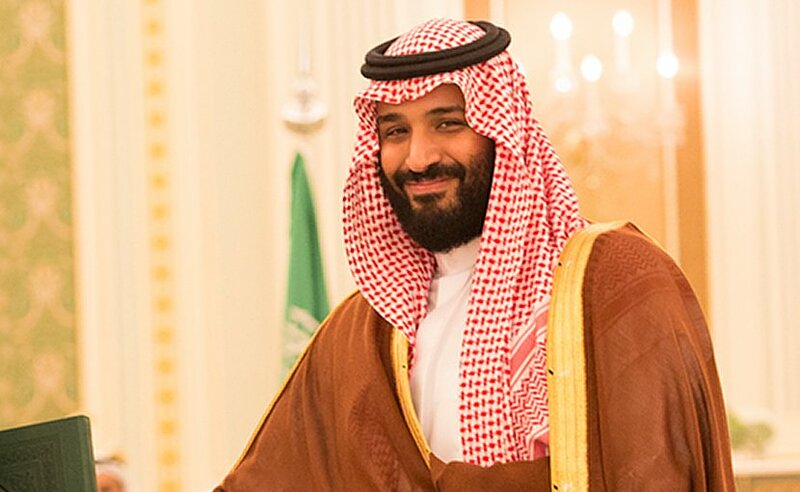 MBS skillfully opted for the bulldozing effect to destabilize opponents and dark forces. He started liberating women from male dominance: allowing them to drive and watch football matches in stadiums. Then, he moved on to tackle corruption among the princes and the elite who have always considered it as a birth right and not a felony or an economic crime. He rounded up all the “filthy rich” of the kingdom and “imprisoned” them in the deluxe Ritz Carleton Hotel and exacted from them large sums of money that went to the treasury. The ultimate aim of MBS is to obliterate Wahhabism and return the country to moderate Islam this would dry up the sources of financing of fundamentalism worldwide, by ricochet. These kids, sick at heart, felt country less and without a definite identity and these are the two personality psychological ailments the master Islamist recruiters used to approach them. And, as such, brainwashed them into believing that they were chosen by God for a mission to fight the European infidels and establish the supreme glory of Islam, an act for which they would be rewarded with paradise (Jennah) and its many virgins (houris). As an initial act of trust and reward they were given large sums of money by the recruiters, to build confidence and strengthen their hold on them. For months they were formed in fundamentalist Islamic religion precepts to strengthen in them the belief that dying for God is the best of ends one can ever hope for. The Islamic State found in these young people the ideal cannon fodder for its religious war in Europe against the New Crusaders (Salibiyun al-judud) and means to carry out its violent agenda outside of the Muslim world. In many cases contact was established through the Internet and even the ideological training was undertaken through the very Internet and then they sent to die and cause mayhem. Of course the true sponsors always remain in the dark and unknown. Probably the last terrorist action of Trèbes and Carcassonne in the Aude region in France that caused the death of four people is the last gasps of the dying infamous Islamic State. It is a pretty minimal action claimed hurriedly by this terrorist organization just to say it is still around. Logically speaking it seems more like the work of a long wolf than that of an established organization. Anyway, since the coordinated international onslaught on the territory of ISIS and its consequent defeat, only lone wolves committed terrorist acts in total despair, such as ramming vehicles into pedestrians to cause maximum casualties or attacking civilians or military at knife point. All in all, the European concerted effort to wipe out Islamist terrorists with the help of North African countries like Morocco is paying off. Terrorism cannot be, of course, totally eradicated, but terrorists will have a hard time operating like they used to do in the past and this, slowly but surely, will lead to the demise of violent Islamism, in the long run. Religious extremists declare US the enemy. The Western world has to enact stringent laws for Islamist brainwashing which is very active in improvised prayer rooms where preaching is political and incendiary and, also, with unemployed and marginalized youth. Like in Morocco, prayer rooms have to go under the strict control of the state and Imams have to be trained and vetted prior to assuming their function. Their sermons have to be issued by a central state-controlled religious authority. Mosques and prayer rooms will be allowed to open only for prayer times and during some special religious functions. De-radicalization will have, also, to affect publications, meetings and all kind of gatherings and celebrations. The youth have to be watched closely and the European states must train them to get jobs to become fully active within society but, also, to strengthen their sense of identity and belonging. Will the West learn the lesson . Only time will show.